A delicately designed box to treasure, with 3 books that simply explain with elegant illustrations Christianity for young Children. A collection of beautiful books perfect for baby's special day. Bible stories, prayers and a special baby record book will inspire and encourage families as their faith journey begins. The box includes three books: My Christening Bible Stories, My Christening Prayers, My Christening Record Book. The Christening Box by Bethan James was published by Sarah Grace Publishing in January 2017 and is our 1509th best seller. 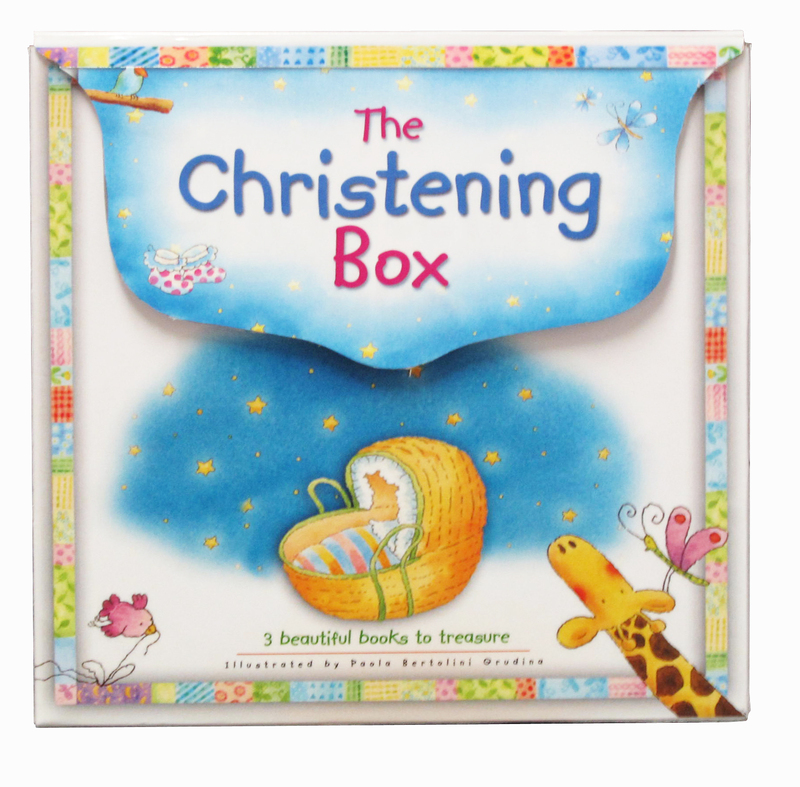 The ISBN for The Christening Box is 9781910786581. Be the first to review The Christening Box! Got a question? No problem! Just click here to ask us about The Christening Box.